The University of Sri Jayewardenepura signed a Memorandum of Understanding with the Daegu Haany University Medical Centre of South Korea on the 15th of March 2018 with the purpose of promoting the exchange of information and joint development between the two Universities in the fields of Medical, education and research. 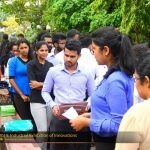 The Collaboration was organized by the World-class University Project of the University of Sri Jayewardenepura. The collaboration of both universities was based on the mutual desire of uplifting the standards of Herbal medicine in both nations. 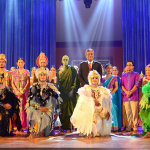 It is well known fact that Sri Lanka claims ownership to a rich heritage of traditional medicine. 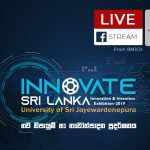 Prof. Ranil De Silva, Director of the World Class University Project in his welcome address stated that the University of Sri Jayewardenepura has begun its advent into developing this area by holding the TradMed conference in 2017. “The conference was attended by over 1000 people and 50 foreign representatives. We have gained approval from the Minister of Health, Nutrition and Indigenous Medicine, Hon. 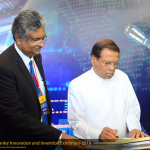 (Dr.) Rajitha Senaratne, to commence measures in accordance with the research papers presented,” he said. 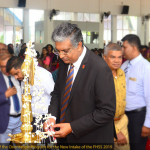 Prof. Sampath Amaratunge, the Vice Chancellor of the University of Sri Jayewardenepura stated that Sri Lanka is a country of many superior sectors, one of which is the health sector. “The average life span of a Sri Lankan is 76 years of age; it is on par with most developed nations in the world. I believe this achievement was only possible due to our medical heritage and talents of that sector,” He said. 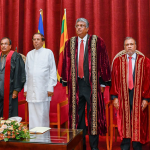 He further stated that the world is currently heading in the direction of research and that many countries focus on medical research, Similarly the University of Sri Jayewardenepura too has taken measures to increase research in this area. “We know that the root of all medicine is through herbs, a fine example can be made by the fact that China was awarded the Nobel Prize for medicine last year in the light of Herbal medicine. Sri Lanka has a rich Ayurvedic heritage. 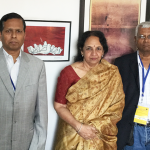 Sri Lanka is home to many talented Ayurvedic Doctors who are mostly located in rural areas, some of them are famed to have the ability of curing diseases such as Cancer,” He said. He also stated that the only barrier the country faces is the standardization of Herbal medicine. 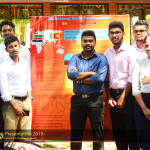 He stated that the Centre for Herbal Medicine of the University of Sri Jayewardenepura is on par with the standards of the World Health Organization. 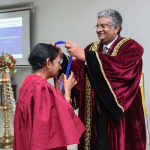 The University of Sri Jayewardenepura has over 20 PhDs who has based their research on Herbal medicine. “Our ultimate goal is to use our heritage: gift of traditional medicine to suit the requirements of the modern era,” He stated. The Daegu Haany University was established in 1980 as a major regional higher education institute focusing on fostering the talents for the local community. The University harmonizes both traditional and cutting edge knowledge and technology regarding herbal medicine. The University’s clinical arm records 30 years of Clinical experience. Deagu Haany is a composition of three Universities, three hospitals, five campuses, eight Faculties and nineteen departments. 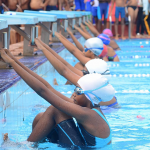 The University receives US $ 15 million funding for five years. “We are searching of a way to take our traditional medicine to the world; we have made many products of supreme quality. I believe that both universities together can create a more advance medical system than that of the Western medical system,” The Vice President of the Deagu Haany University, Prof. Joon-Seok Byun said.